Ladies Patterned Liberty Print Tana Lawn Blouse. Machine washable. I like Liberty Tans Lawn blouses because they are so easy to care for, no need for ironing and the patterns are attractive. Great shirt as always, often buy Liberty Print blouses. 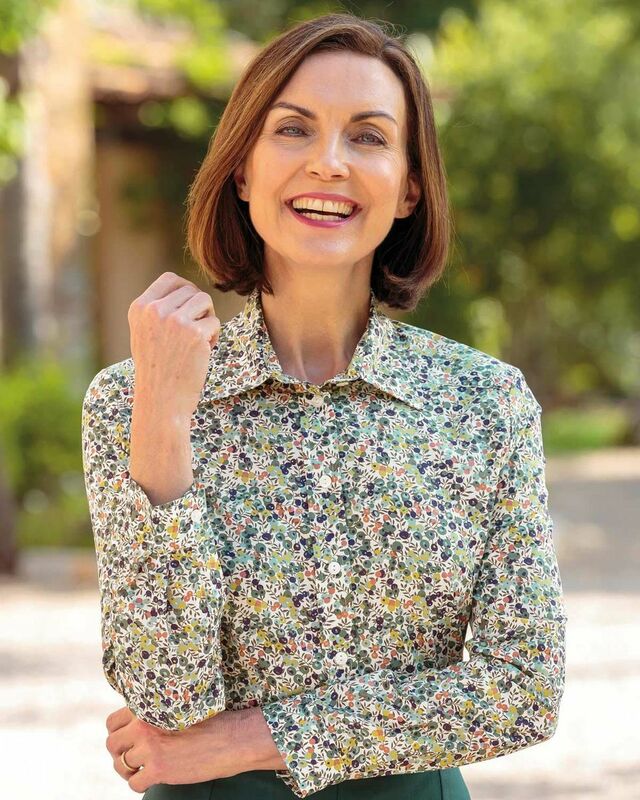 "I like Liberty Tans Lawn blouses because they are so easy to care for, ..."
Ladies attractive Liberty Tana lawn print in autumnal shades of grape and spruce on an ecru base. Long sleeved style with two-piece collar, back yoke and gently rounded hem. This blouse will bring a touch of elegance to your wardrobe.